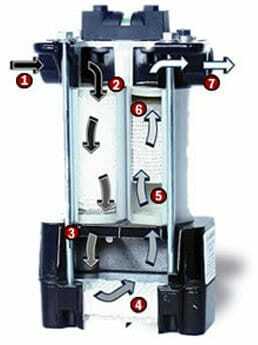 The patented La Man Extractor/Dryer® filter is a two-stage, point-of-use compressed air filter. Designed primarily for the final usage of air, it will remove water, oil and other contaminates from compressed air lines. Developed for air-driven tools, paint spraying, manufacturing equipment, and other compressed air equipment, the La-Man Extractor/Dryer filter produces dry, compressed air. 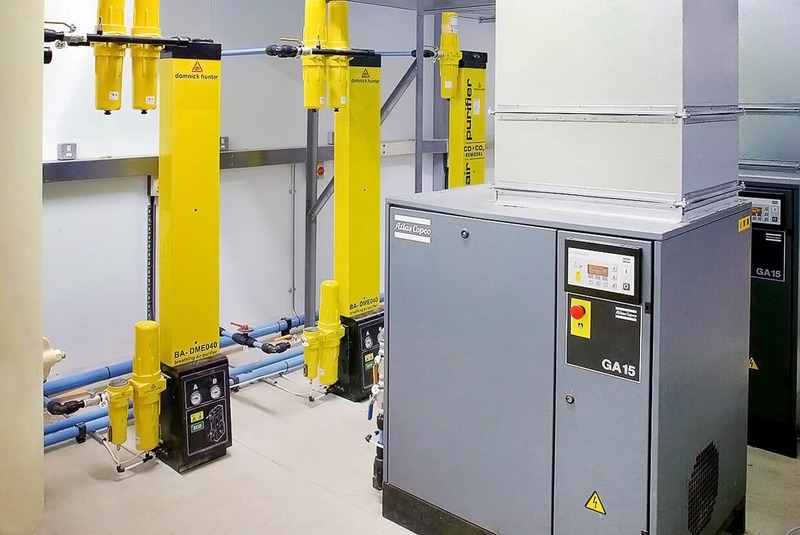 This ensures extended equipment life, improved product quality, reduced downtime, and savings on costly repairs to damaged equipment. Compressed air containing particles of dirt, dust, oil, and moisture enters the first stage of the Extractor/Dryer. A coalescing effect occurs as air passes through a cartridge mesh filter. This captures particles and causes moisture to form larger droplets. Air velocity decreases as it enters the extraction chamber, allowing particles to collect and moisture to condense on the honeycomb. Particle laden water flows along the bottom and out the drain. Air passes through the second stage, which contains a wire-supported fibre filter cartridge. This captures remaining particles down to 5 microns. 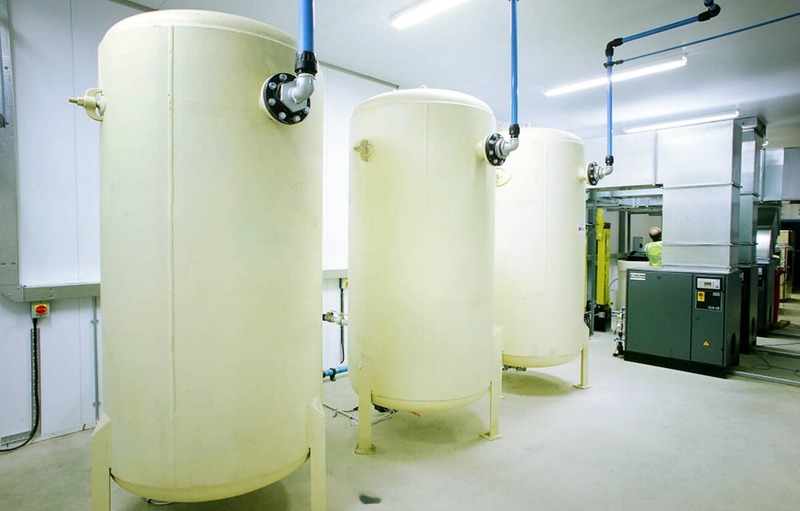 Remaining moisture and contaminates are dried and filtered in the second-stage filter. 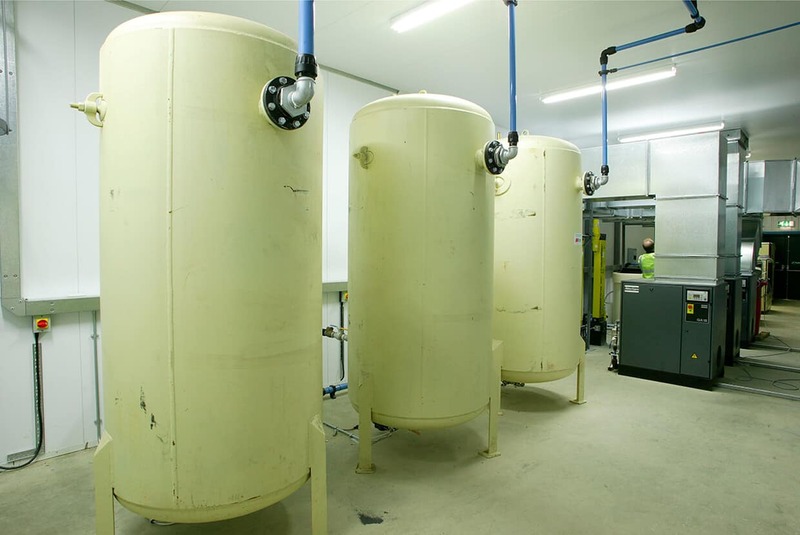 Exhaust air is clean and dry – no dirt, rust, oil or water droplets to disrupt air equipment operation. 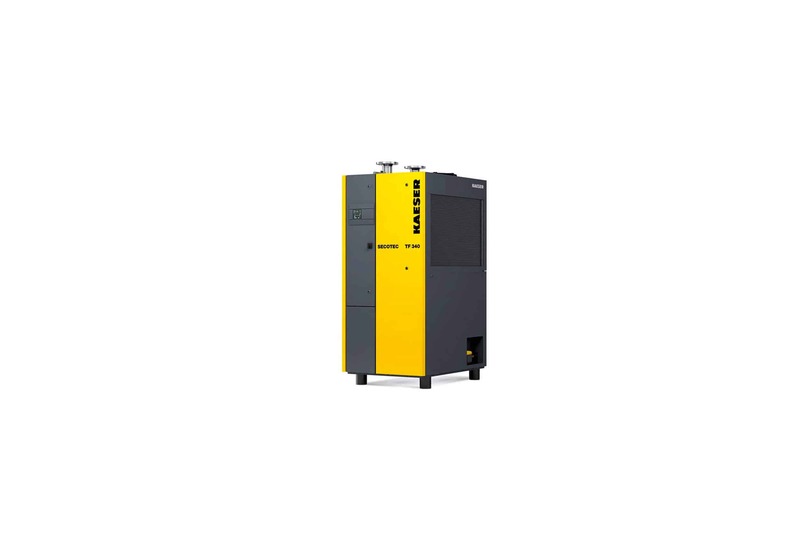 Airblast Eurospray offers four main types of dryer that provide various solutions to moisture saturated air. 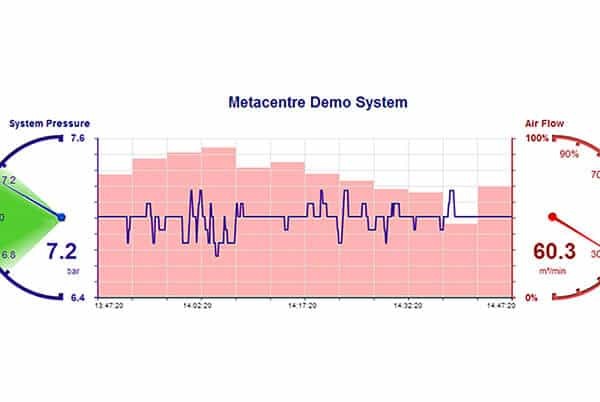 Airblast Eurospray carries out audits of compressed air plants and systems to help customers improve their efficiency. 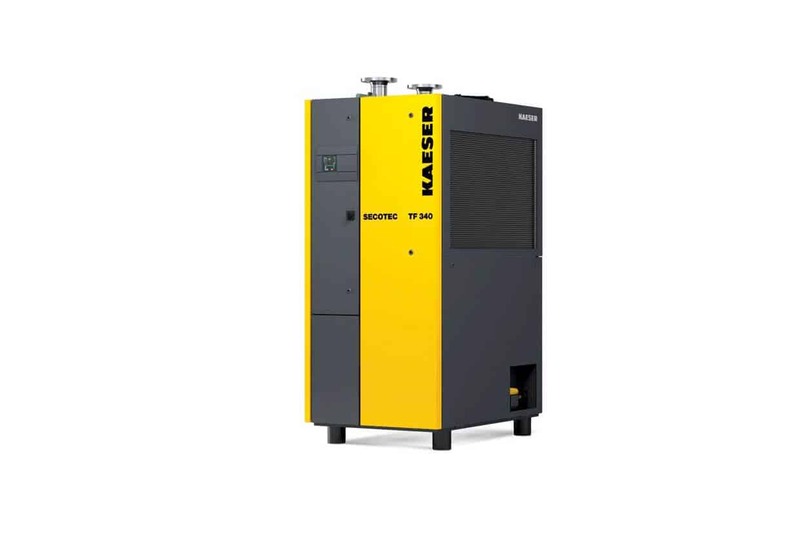 The majority of oil-lubricated air compressors produce oil-contaminated condensate from filters, dryers, and drains, which must be drained off. 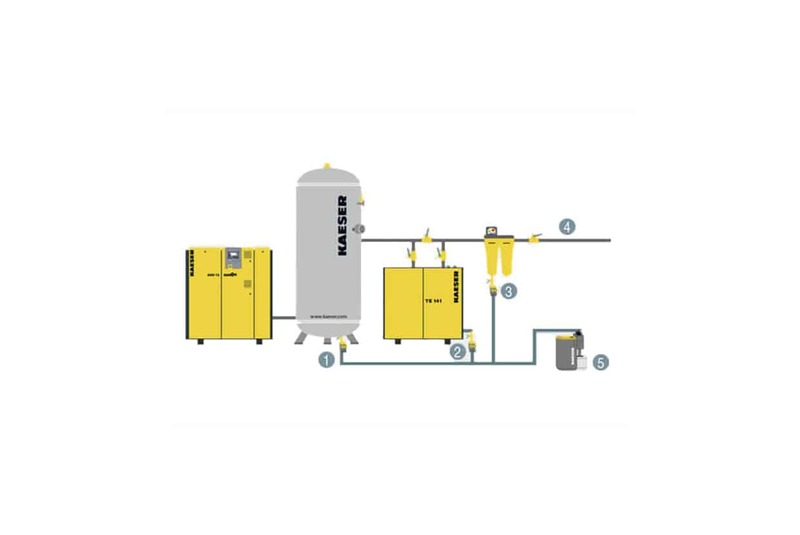 Airblast Eurospray offers an intelligent, automated external control panel for managing compressed air. We supply high quality distribution pipes to work in tandem with compressed air, medium and high pressure, vacuum and low fluid power systems. 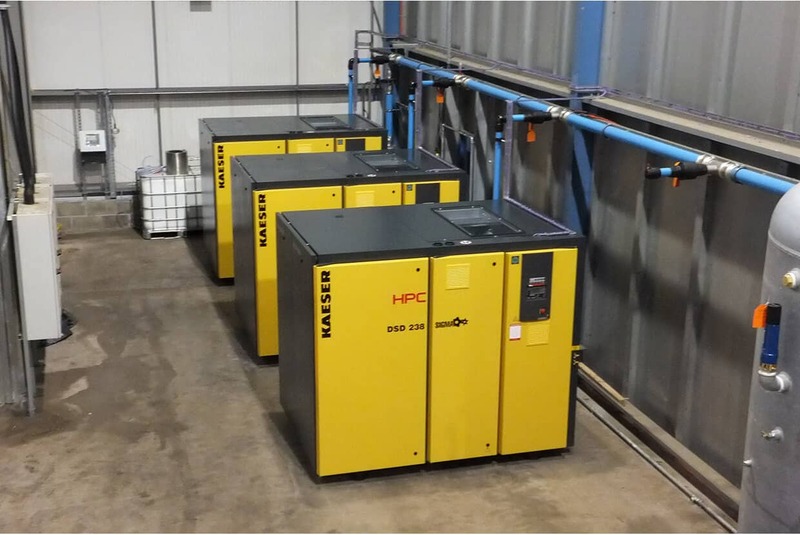 Regular compressor servicing is vital and Airblast Eurospray has over 40 years of experience in maintaining and servicing all types of air compressors.